Want your Can-Am Spyder RS to stand out from the rest? Dress it up with this simple yet aggressive looking Euro style Rally Stripe Graphics kit. 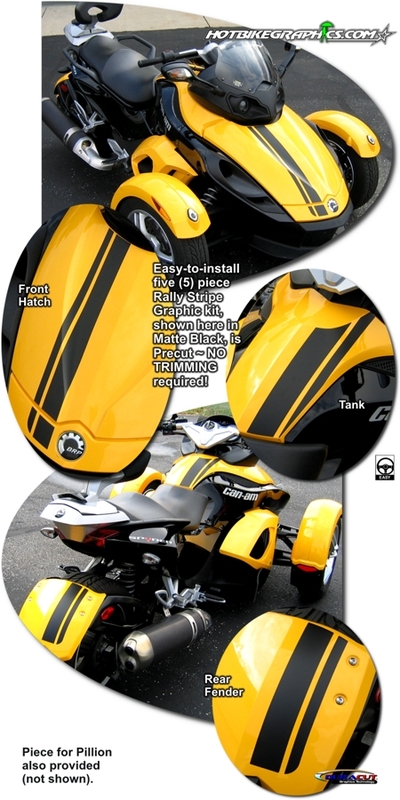 Rally Stripes are specifically fit for the '08-Current Bombardier Can-Am Spyder RS and will not fit any other bike.